Last Sunday it was Baby A.’s 100th day outside the womb and we had a party, as it is the tradition here. This party is probably the equivalent of baptism in Catholic countries (i.e. Spain) and it’s a way of introducing the child as a new member of the family. 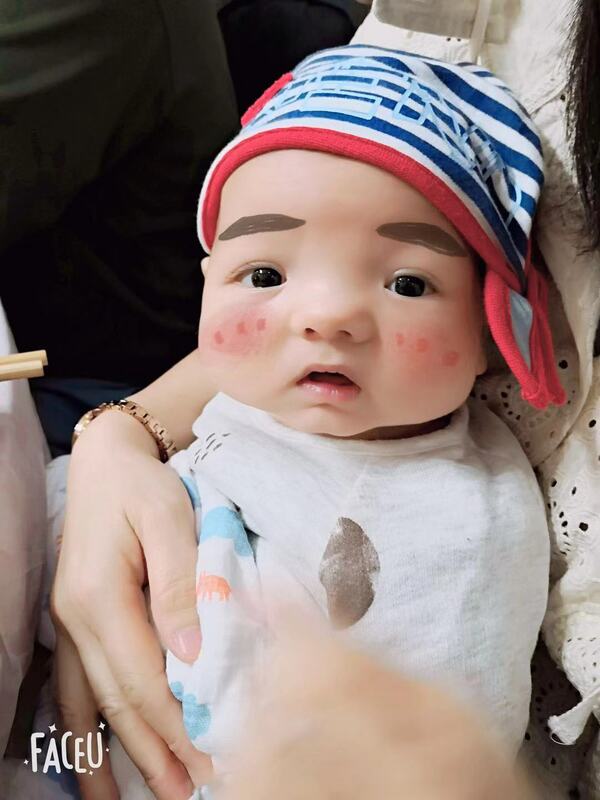 There are also some folk customs like shaving the baby’s head on his 100th day, but I passed on that and nobody even mentioned it. Phew! In the end he also didn’t wear any of the gold jewellery that he was gifted so I didn’t have to worry about him looking like B. A. Baracus. How Baby A. would have looked if he had to wear all his bling. Our party was a lunch in a nearby hotel and there were actually more guests than in our wedding! Around 180! C. invited basically all of his friends and colleagues and my MIL also invited her friends. 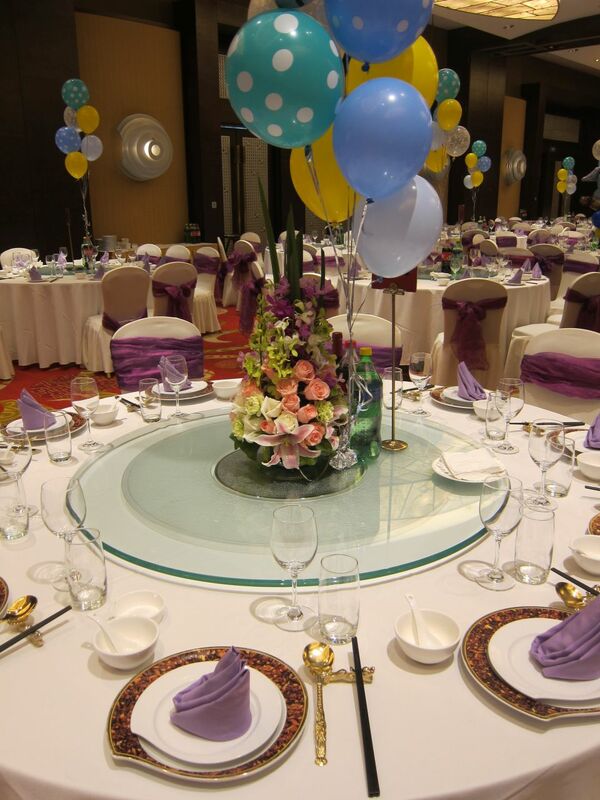 In China, weddings and 100 days parties are a way of recovering all the money that you handed out for years in other people’s weddings and parties… but in fact you might end up spending everything in the celebration! I hate when there are MCs and entertainment in this kind of parties because it gets super noisy, children go crazy running around and you cannot even eat in peace. So we just had a peaceful lunch, went around all the tables to drink (cola) with everybody and gave the guests a thank you gift. This gift is usually a box of cookies or pastries. We gave a big box of pastries from a bakery called Tang’s Cake which I love. 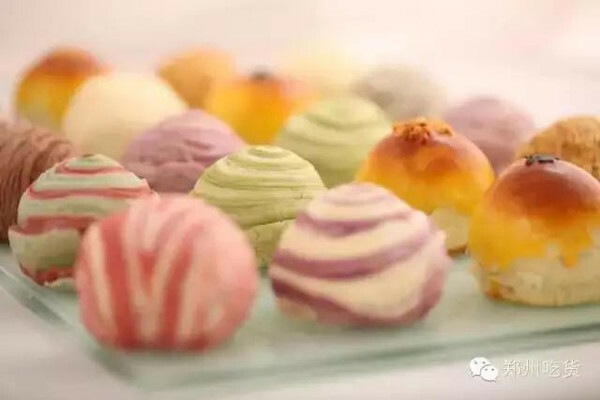 They are Chinese style pastries. which I’m not usually a big fan of, but these ones are really good. They are pretty AND delicious. Of course, everybody wanted to see the baby and they were actually super curious because we must be the only parents in the whole China that don’t post pictures of their baby on WeChat (or anywhere else, for that matter). All the guests wanted to hold him and he had a great time going from lap to lap because, at least until now, he is a super sociable baby and loves people in general. He also smiles a lot and totally charmed all the ladies. He was in his best behaviour during the whole time and then when we went back home he had a poo explosion in the car which leaked through the diaper and into his clothes (luckily, not into the car seat this time). I am completely sure he had been holding it the whole time in the party and then let it all go when there were no guests in sight!! Well, to be honest C. did post some pictures of him on WeChat… but with a funny face filter. Meet Baby A.’s fat and cartoonish version! The party was arranged by C. and I didn’t really do anything, apart from choosing the menu, providing some pictures to include in the decoration and buying the pastries for the guests. 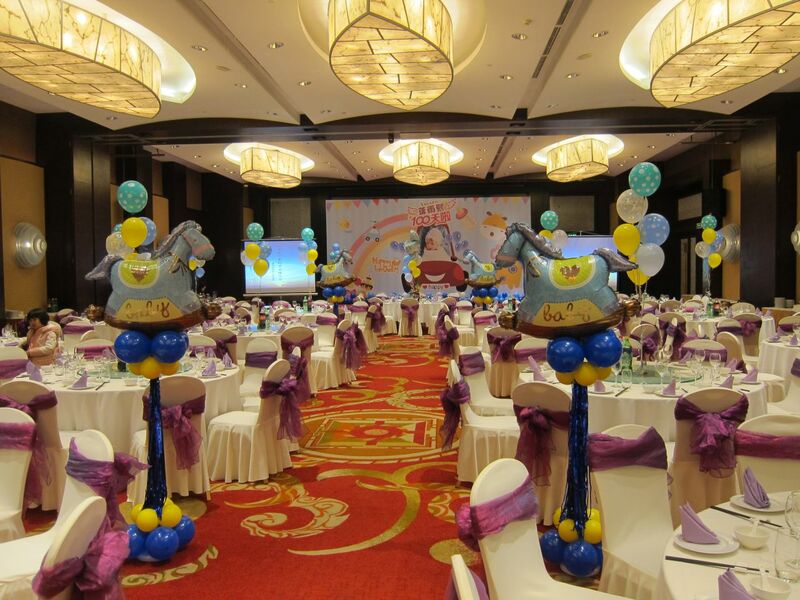 So when I arrived to the banquet hall I was very glad to see how pretty it was! 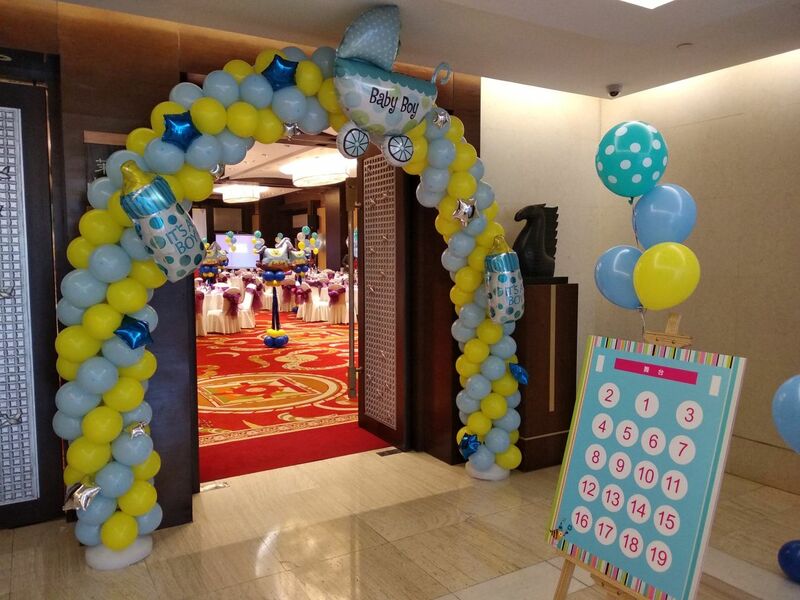 The entrance had an arch made of balloons. C. giving a short speech. 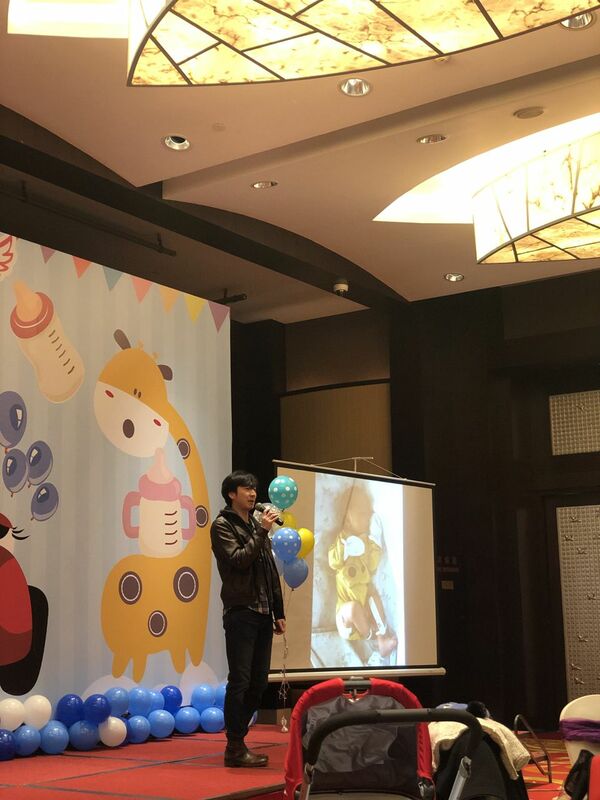 It was a nice party and even though the tradition is to give money in red envelopes, Baby A. also got some toys like a teddy bear with lights and music, an electronic tambourine that sings in English and books. But for him, the best part was having dozens of people cooing and holding him! A successful party and you didn’t have to do much? The very best kind of party. Especially with a happy baby. But not been nearly as gratifying to the guests! Don’t remind me on all the bling they give the kids. Wonder how the kids would react if Nathan comes to kindergarten with dozens of gold chains and whatnot all! How gorgeous Marta. Just love your posts. Your table looks so lovely too. Thank you! I loved the fresh flowers in our table. The cookies are gorgeous. My mouth is watering. C did a great job arranging the party. Best of all was Baby A’s friendly behavior. Happy belated 100 days Baby A! Well done for holding on until after the party. Gotta impress the ladies right? !